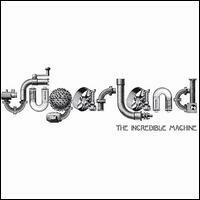 Sugarland’s 2010 Incredible Machine is an album I never got around to ranking or reviewing, primarily because I never got around to listening to it more than twice. The band’s 2008 album, Love On the Inside, was a breath of fresh air that really made an impact. This was one of the rare country albums that I took to before I drank the Brad Paisley Kool-Aid a year or so later. Love On the Inside is full of charm, wit and spirit. Kristian Bush, half of the under-appreciated Billy Pilgrim, brought some of that band’s sound to his work with Jennifer Nettles, and Nettles’ brassy twang suited the collection splendidly. The album deservedly put Sugarland on a superstar pedestal. Incredible Machine is the sound of them falling off that pedestal, and falling hard. Bush and Nettles — particularly Nettles — just try too damn hard on this record to be larger than life. On the previous album, she sounded like a woman who came across larger than life because that was her personality. Here, she suddenly thinks she’s Bono. The production is bombastic and annoying, the songs try too hard to be anthems and not hard enough to be songs. And Nettles’ voice, which I’ve liked in the past, suddenly sounds as annoying to me as I know it does to a lot of other people. I don’t want to paint this album as a total failure — it has its moments — but it’s so far in spirit from Love On the Inside that it feels like a different band. This entry was posted in song of the day and tagged Incredible Machine, Little Miss, Sugarland. When the recent stage collapse occurred at a Sugarland concert, they were playing snippets of Sugarland on the news, presumably singing songs from this album, and I thought they were fairly awful. In fact, Howard Stern, in commenting on the stage collapse, joked that the last thoughts of those who died were “Oh, god, I can’t believe I’m going to die at a Sugarland concert.” A poor taste joke to be sure, but, after hearing some of these songs, I must admit I saw his point. If the previous album sounds more like Billy Pilgrim, that is definitely worth checking out. This new stuff, though, is really pretty lame.